We are rather fond of our herbal teas here at Girls Afternoon Tea, and in particular have a penchant for a relaxing cup of Green Tea. With stories of its miraculous qualities, we thought we would do a little bit of digging as to its history, benefits and of course, delicious varieties. Green Tea can be traced back to China some 4,000 years ago when it was first brewed during the reign of the legendary Emperor Shennong (Emperor of the 5 Grains – 2737 BC). A much respected figure he is credited with teaching the early Chinese about agriculture and herbal remedies. The first scriptures depicting the benefits of drinking green tea and its effects on internal organs date back to the Tang Dynasty (600-900 AD). The majority of our green tea originates from China, from the Camellia Sinesis plant. It is grown and harvested in a variety of ways and steaming or oven drying the plant’s fresh, green leaves are two of the most popular methods used today. This stops oxidation which prevents the leaves from turning black. 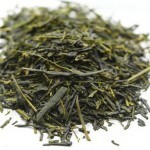 It also helps retain many of the nutrients, minerals and natural antioxidants which are associated with green tea. Although the bulk of our tea is imported from China, this is spreading to other parts of Asia, South India (Assam tea) and South America. Research reported by the NHS said that tests carried out on 821 people indicated that green tea could help lower cholesterol and blood pressure, the cause of heart disease and strokes thanks to its enriched catechins. Researchers at the University of Missouri recently published a journal in the Journal of Alzheimer’s Disease which revealed that following tests on mice suffering from the condition that (epigallocatechin gallate) ECGC, a green tea extract when drunk with water and combined with physical exercise slowed the progression of the condition. Now don’t get too excited. This has not been medically proven but “allegedly” following the result of trials on humans green tea boosted the metabolic rate and increased fat oxidation (burning). Who are we to argue. Some laboratory studies have shown that extracts from green tea can prevent cancer cells from growing. The antioxidants in green tea, in particular EGCG are said to inhibit cancer causing enzymes and in some cases kill cancer cells with no adverse effect on healthy cells. Researchers at the Case Western Reserve University in Cleveland reported that following lab studies the anti-inflamatory properties of EGCG may prevent the progression of arthritis by blocking a pro-inflammatory cell which damages cartilage. Sencha – originating from China this green tea derives from sweet and slightly smoky leaves and best enjoyed in the afternoon. 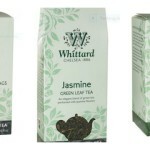 Jasmine – a Japanese tea infused with jasmine, this light and floral tea can be enjoyed throughout the day. Moroccan Mint – a blended tea infused with spearmint, this sweet and minty tea can be enjoyed during the afternoon. A favourite of ours which leaves the palate feeling refreshed. Mango – a blended tea infused with tropical fruits which can be enjoyed at any time of day. Prices for the flavours above start at £4.75 for a box of 50. 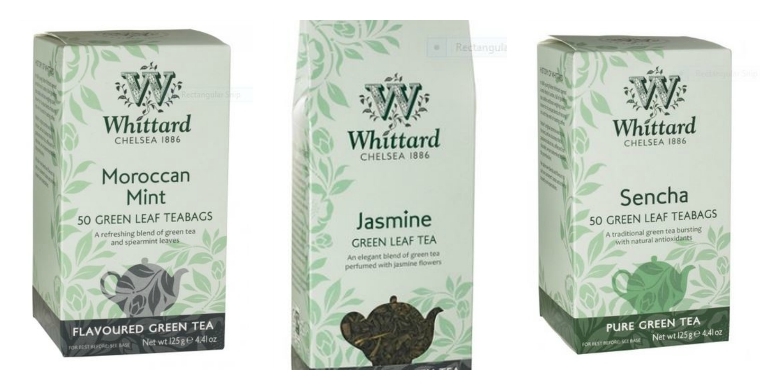 Browse the green teas from Whittard . . . This delightful green tea taster selection would make a great gift for any tea lover. 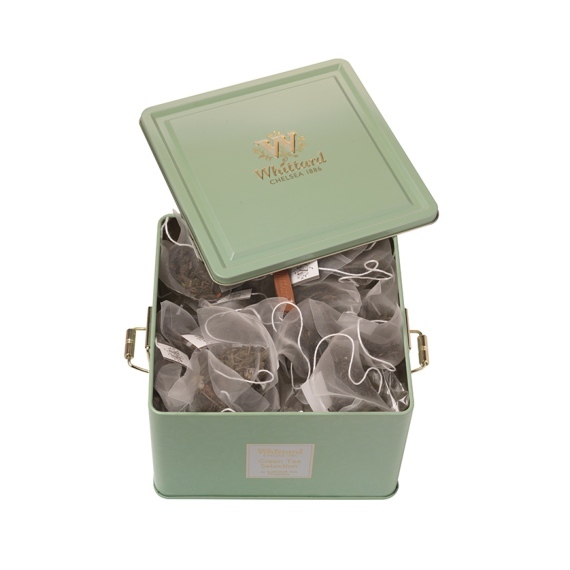 Containing 32 large leaf tea bags the fragrant flavours infuse gently through sheer bio-degradable mesh. 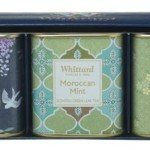 Beautifully presented and priced at £15, you can buy it now direct from Whittard . . . These lovely loose leaf teas would look lovely in any kitchen and once again, would make the perfect gift at £10. Buy online direct from Whittard . . . Warm the teapot. This prevents the tea from cooling down too quickly. Measure approximately one teaspoon of loose leaf tea per 150 ml cup. Allow to brew for 2-3 minutes. Read our blog on The Top 10 Teas to Boost your Body . . .
And last but not least, why not take a moment to browse our website for a mouthwatering afternoon tea at a venue near you . . .